How to get the longitude and latitude from postcodes using a Post Code API and Open Refine (previously known as Google Refine). 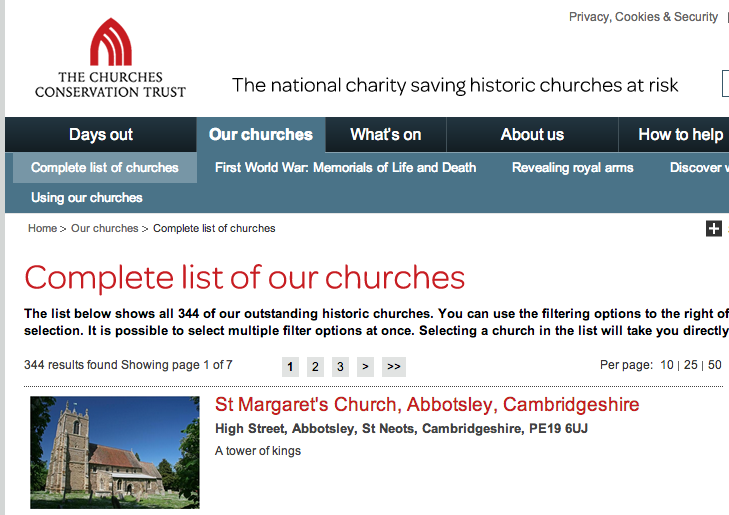 The Churches Conservation Trust’s website listing the 344 churches that they care for. The expressions that I used in OutWit Hub to scrape the data that I needed. The 344 churches were spread across seven different pages, but because of the URL structure this was easy to work out and automate. As I had seven pages to scrape I know that I just have to change “Page-1” to Page-2, Page-3, etc until I’ve got up to Page-7. As shown in my last OutWit Hub tutorial, I then just saved the list of URLs, saved them as a .HTML file, opened the page in OutWit Hub, then fast-scraped the URLs. This gave me a list of all the conserved churches in England, including their post codes and even the description of each church. 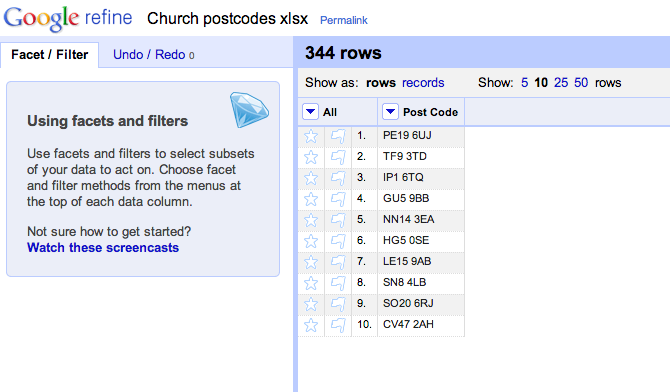 However, I wanted to find out the longitude and latitude code in order to map the churches using Google Fusion Tables. 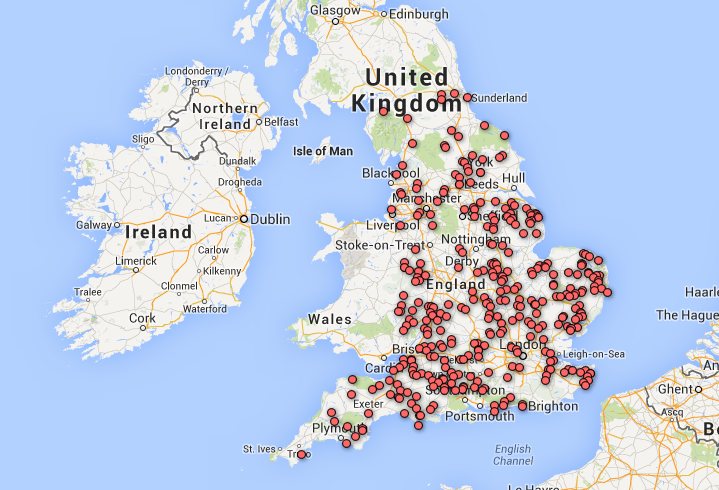 Manually searching for the longitude and latitude for 344 postcodes would be an incredibly painful experience. Thankfully, you can use an API and Open Refine to quickly automate this. 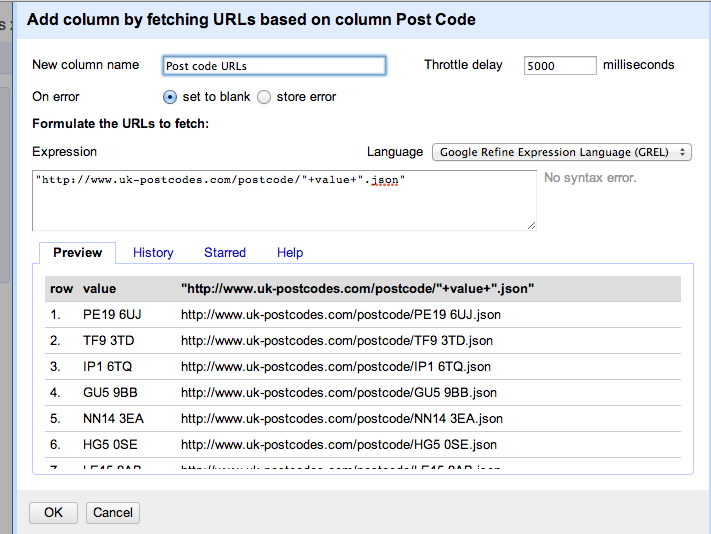 The API that I’ll be using, UK Postcodes API, returns data on a postcode that you search for in the URL. Although this looks extremely confusing, the only information that I want from this is the latitude and longitude – which is in the first sentence (though you could, if you wanted, pull other details such as the ward name and the local council). I’m therefore going to use Open Refine to automatically pull this information for me. Once you know how to do this, it’s very straight-forward to do and replicate in other data work. 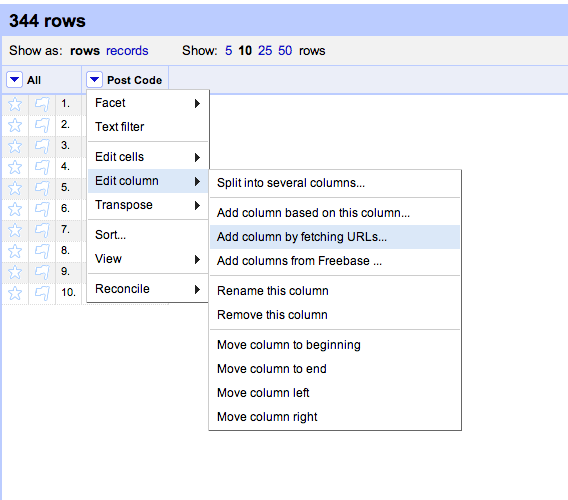 The next step is click on the column where all your information is and “Add column based on this column”. We are now going to grab the latitude and longitude for every post code. Now I have the longitude and latitude for every postcode, hurrah! I’ll be using this process a lot in the future, especially for mapping. But there are a wide variety of APIs out there which can help you automatically find data. Open Refine is also an excellent tool to know about in order to clean data – which I shall be writing a tutorial on soon! 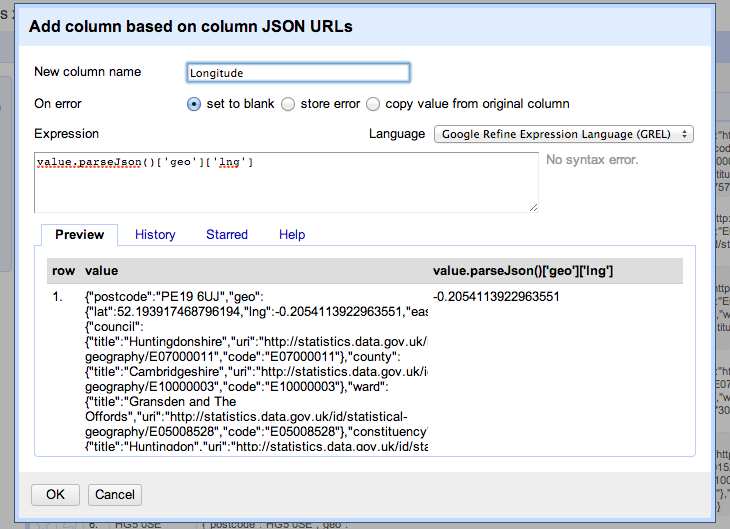 Disclaimer: I am much indebted to Paul Bradshaw’s tutorial on “Adding geographical information to a spreadsheet based on postcodes – Google Refine and APIs” and his data journalism intensive class at City held this Wednesday. Tags: API, city, city university london, coding, Data, Data Journalism, Google Fusion Tables, Google Refine, html, interactive journalism, Journalism, ma, map, mapping, Open Refine, OutWit Hub, post codes, The Churches Conservation Trust. Bookmark the permalink.